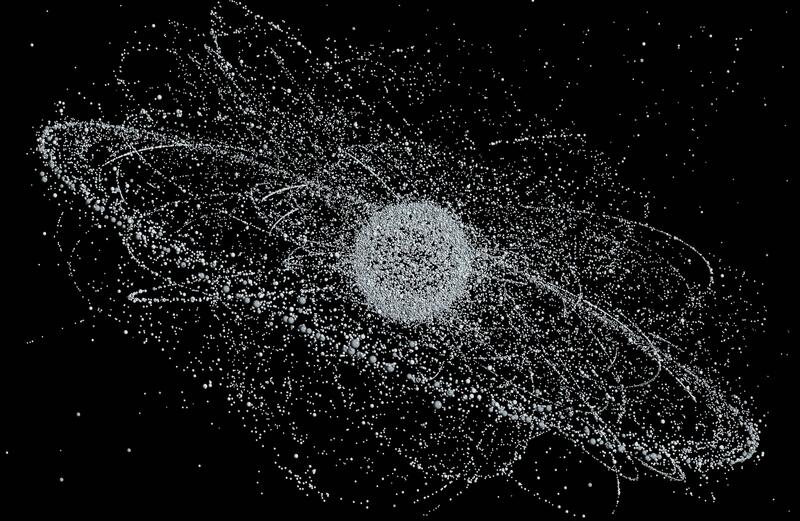 Space Junk is a growing problem. Even though there is a lot of room in low Earth orbit, it’s estimated that 3,000 tons of space debris is floating around at different altitudes and speeds, posing a significant threat to present and future orbital infrastructure. The number of objects classed as space junk doubled in 2014 to 4000 individual pieces, mostly due to collisions between objects already in space. Most of this space junk is old derelict satellites and rocket bodies and engines leftover from 50 years of space exploration. Because of the wide variety of altitudes, trajectories, and speeds, it can be very difficult to develop a system to track and remove this debris. A new proposal by an international team of scientists suggests using a wide-field telescope and a powerful laser to identify and remove space junk from orbit. It sounds like science fiction, but before long it could be science fact. Scientists from Japan’s research institute RIKEN, working with a telescope called the Extreme Universe Space Observatory (EUSO) have proposed to use the telescope’s wide field camera to find space junk. Originally designed to study ultraviolet radiation from the particle shower created when high energy cosmic rays hit the Earth’s atmosphere at night, its wide angle camera could be used to find space junk at twilight. The second part of the experiment is called the CAN laser, a high powered laser originally designed for use in particle accelerators. The laser consists of bundles of optical fibres that work together to produce powerful laser pulses at high efficiency. Working together, the system can be used to identify the most dangerous pieces of space junk, around 1 cm in size. The laser pulse focussing on the debris would create a plasma ablation, with the resulting force slowing the debris down to re-entry speed. Once it enters the Earth’s atmosphere it will burn up harmlessly. The group plans to deploy a smaller scale concept on the ISS with a range of approximately 100 km. If this works we could see a larger version reversing the negative impacts of space junk in the future. It’s really the first step to weaponizing the space station. Maybe some day we could see rockets, a rail gun, or even a small nuclear warhead. Lasers are much cooler anyway so consider this the first step to science fiction becoming science fact.